Our "green" eco-friendly, wood veneer LEED doors are constructed using either Microstrand wheat board or NAUF particle board substrates to form a solid core for the door. Microstrand wheat board is made from wheat stalks, a renewable waste product produced by wheat farmers (otherwise known as straw!). NAUF particle board is made from wood based bi-products similar to regular particle board but has no added urea formaldehyde. Eco-friendly doors manufactured with either of these two substrates meet the new 2009 California CARB Codes (California Air Resource Board) and qualify for LEED credits. Real wood veneers and edges are overlaid onto the particle board substrates to create beautiful wood doors in a myriad of wood species and door panel designs. This process reduces the amount of wood needed to build a door by up to 80%, yet still gives consumers the look and feel of a true solid wood door. Pricing of the wheat core doors and the NAUF doors is comparative to doors made with traditional particle core construction but is substantially less than doors made with solid wood construction. If you are building a new home, or renovating, and have a concern for keeping your home "green" for sake of the environment, consider buying LEED doors from Homestead Doors. Speak to our helpful door staff who can answer your questions to assist you in completing your project, and can prepare a price quote for you. You can also submit a quote request using our online door quote form. Lag bolt construction is a signature feature of our LEED doors. Bored through the edges of the doors to secure the stiles to the rails, these long metal bolts are far stronger than wood dowels and guard against joint separation caused by changes in temperature and humidity in the door's surroundings. 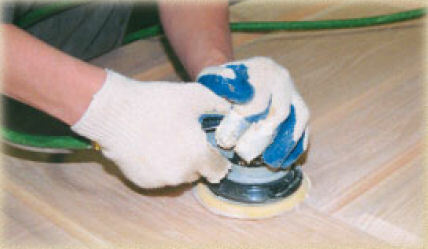 Every LEED door undergoes a unique 3 stage sanding process, the last stage of which involves a thorough inspection and sanding by hand to eliminate cross grain scratches that automated sanding machines make. By removing these blemishes, we give you a clean door that is virtually ready to stain and finish with minimal follow-up sanding. In addition, doors are examined under ultra-violet light so that glue residue can be spotted and removed before shipment.